Christmas is near by. Lots of good movies are gearing up for release all over the country,The story is same in the case of Malayalam movie industry too. Malayalam cinema had a rough year but there were some movies which has broken all the records known to Malayalam movie history. They are the standing example of how much of a success movie can be. Anyhow those movies which are up for release is very much promising and is packed with some of the best in Mollywood. Ivan Maryadaraman - Ivan Maryadaraman is a daring attempt by the makers. The whole budget of the movie has exceeded 10 crore which is for the first time in Dileep's career. Sibi K thomas and Udhaykrishna team are the one who has penned down the script and story of this movie. 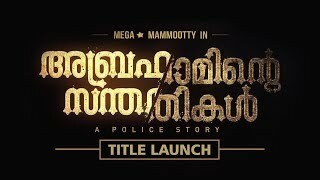 The movie is produced by Vaishakh Rajan under the banner Vaishaka Cinema.Nemumudi Venu, Kalabhavan Shajon and Pradeep Ratwat are expected to play pivotal roles in this movie. Cousins - Another big budget movie. It is said that the budget of this movie has exceeded 7 crore. The songs of this movie was all over in news as the makers have spend 1 crore just for a song. Cast of Cousins include, Kunchako Boban, Indrajith, Suraj Venjarammoodu, Joju George, Vedhika and Nisha Agarwal. Vysakh is the director of this movie and Sethu is the script writer. Mili - Mili is directed by Rajesh Pillai who marked the beginning of an new era in Malayalam movie industry though his movie Traffic. Mili has the story of a self cornered girl. The introvert girl has been portrayed by Amala Paul. Producer of this movie is Ordinary Films in association with Cross Pictures.Sanusha, Sija Rose, Praveena, Shamna Kasim is also there in this movie. Nivin Pauly plays the male lead role in this movie. Picket 43 - Picket 43 has lots of expectations. Prithviraj portrays the lead role in this movie. The story of this movie is about friendship between 2 soldiers of India and Pakistan. Major Ravi is the director of this movie. OG Sunil is the producer of this movie. Aamayum Muyalum - Priyadarshan's first movie with Jayasurya. Aamayum Muyalum is a comedy as well as family drama. 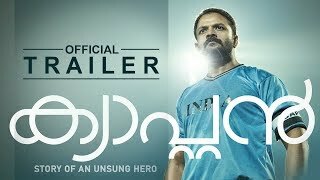 The main positive thing about this movie is its ensemble cast that includes, Jayasurya, Innocent, Nedumudi Venu, Harishree Ashokan, Manianpilla Raju, Mamookoya, KPAC Lalitha, Edavela Babu, Nandu, Anoop Menon and Piya Bajpai. Jaison Pullikkottil is the priducer of this movie.